Take it with you! 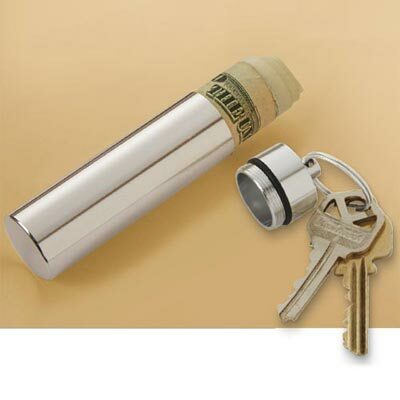 Aluminum alloy container is a safe, secure and easy way to hide and protect medications, rolled-up cash or other valuables. Attach it to your key ring, belt loop, handbag, golf bag or zipper pull. Waterproof and air-tight with O-ring seal. 3¼"l.